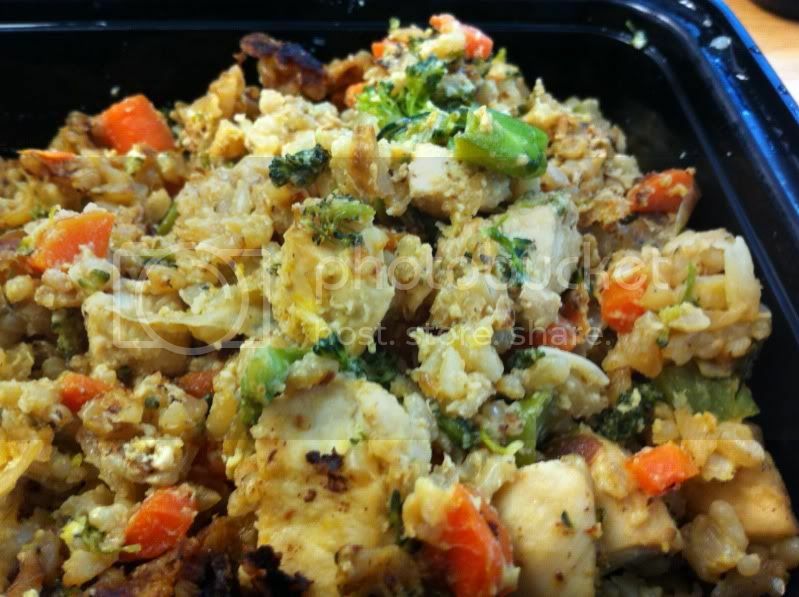 Fried rice seems like such a decadent treat, but depending upon whether it's a side dish or main dish, how much fat and salt you use, it may be a fairly nutritional meal. I tend to make it to use up leftover brown rice, meat, and/or veggies. As you will see, the recipe is super simple--mix it all up in a pan with soy sauce, pepper, some sort of fat, and an egg or two to bind it all together. How simple? 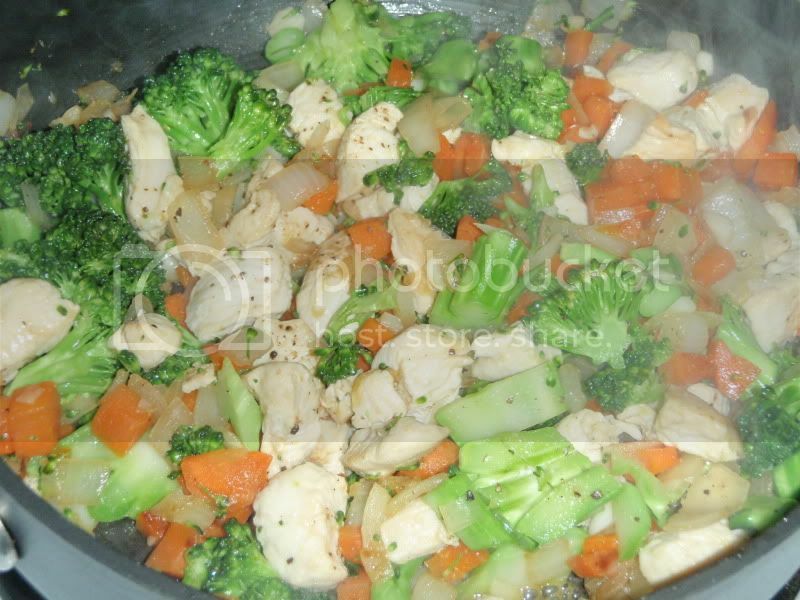 When the meat is cooked, add broccoli or other uncooked veggie and stir mixtures together until veggie begins to soften. Sprinkle with pepper. 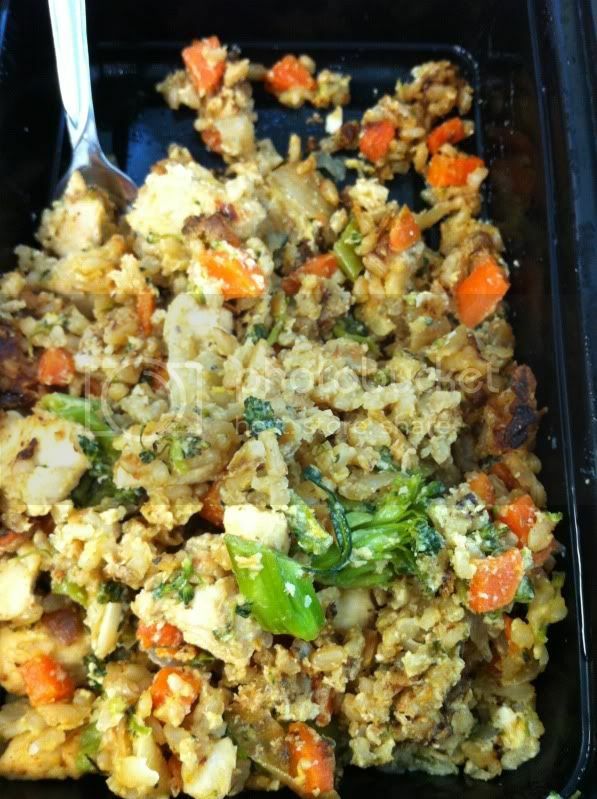 Pour cooked rice on top of meat and veggie mixture and liberally season with another couple of tablespoons of soy sauce. (My rule of thumb for making fried rice is to use a little more soy sauce than I would put on white rice that I would eat as a side dish. If you are unfamiliar with soy sauce, start with 2 teaspoons at the first step and 1 tablespoon at the second step. You can always add more at the table.) Add butter or splash of chicken broth and mix together. If you are using cooked meat and veggies, saute onions and carrots until softened and beginning to brown. Add garlic in last minute of cooking. Add cooked meat and veggies, season with a tablespoon of soy sauce, and cook a few minutes until heated through. Then proceed to follow the rice and egg steps.